The Birthday of our First Prime Minister Pandit Jawaharlal Lal Nehru is celebrated as Children's Day around the country. 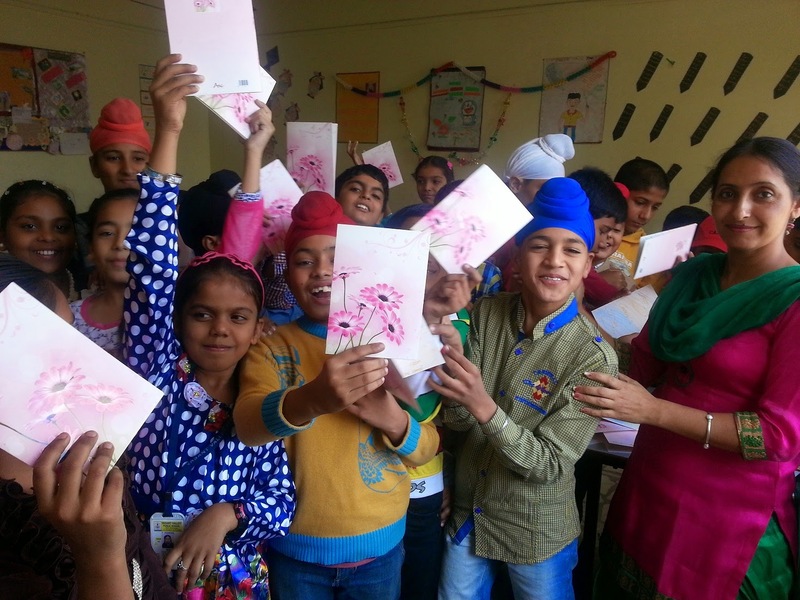 The same was celebrated by Vasantarians with short cultural programme organized to make the day special for children. 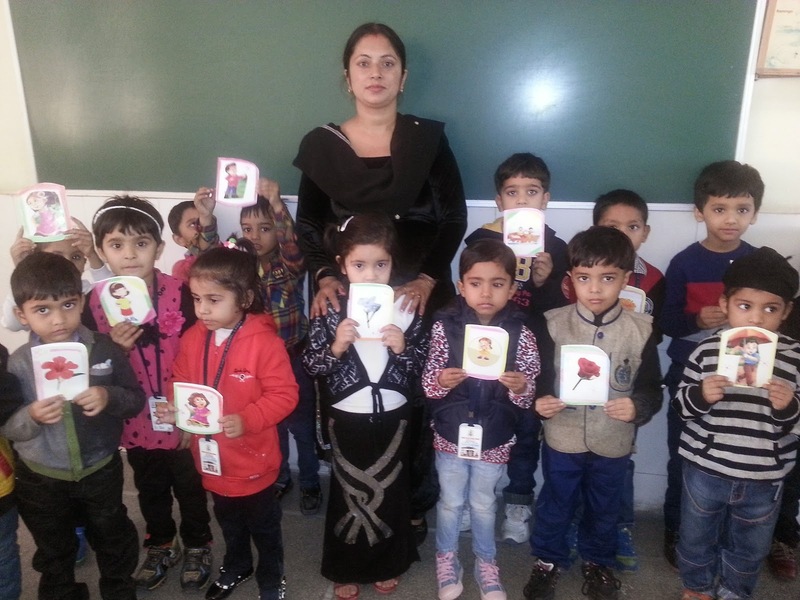 The respective class in charges presented handmade cards to each of their students and brought some self made dishes like Cake, Pakodas, Idli, Dhokla, etc for the students. 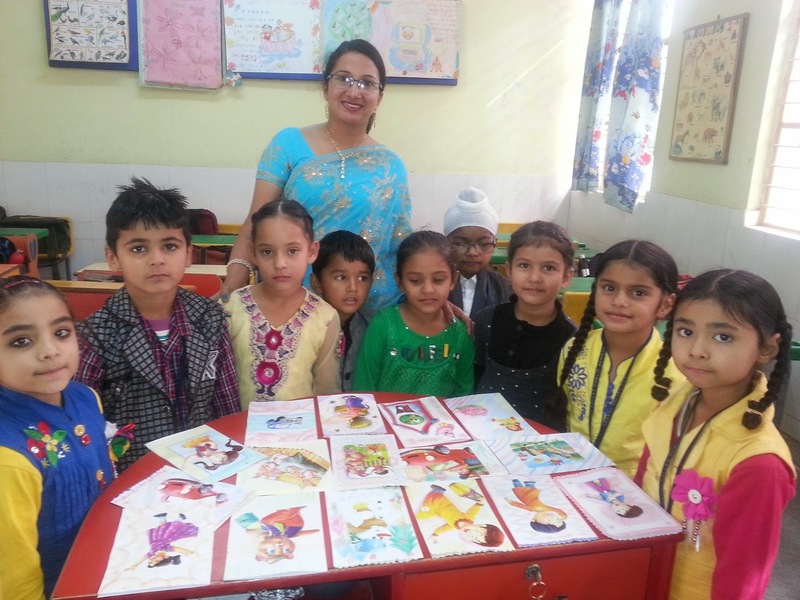 The students adorned in casuals were like pearls to be seen everywhere. Everybody seemed to be happy. 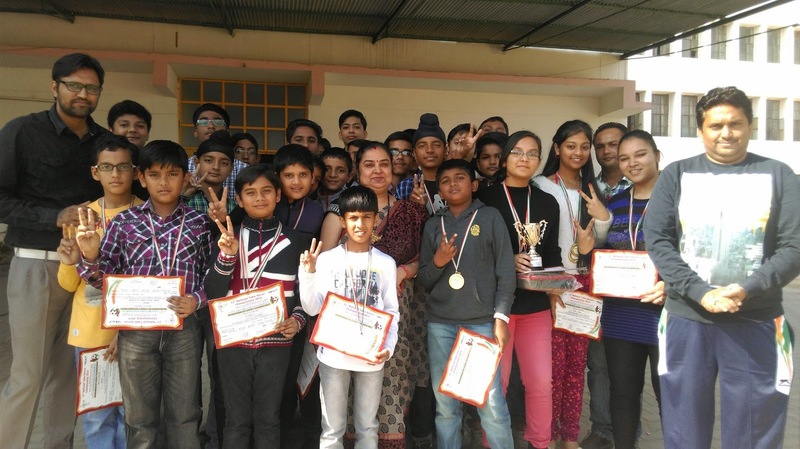 Along with it awards were given away for the winners of swimming competition held by CBSE and 11th Table Soccer Championship held at Chandigarh. 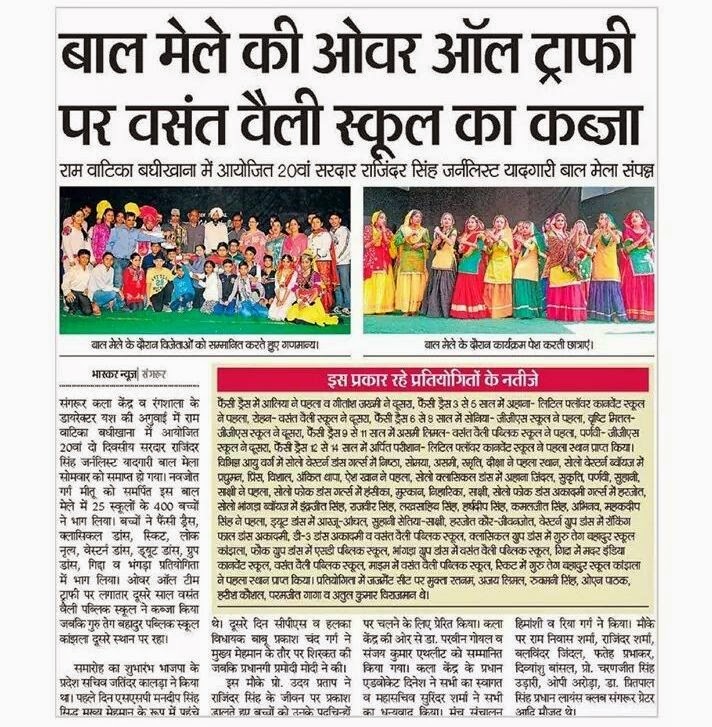 Several young talented performers of the V.VP.S-Ladda by winning numerous awards for their performances related activities such as Solo, Duel, Group Dances, performing Giddha and Bhangra, , Mime performance, classical singing and the fancy dress competition. 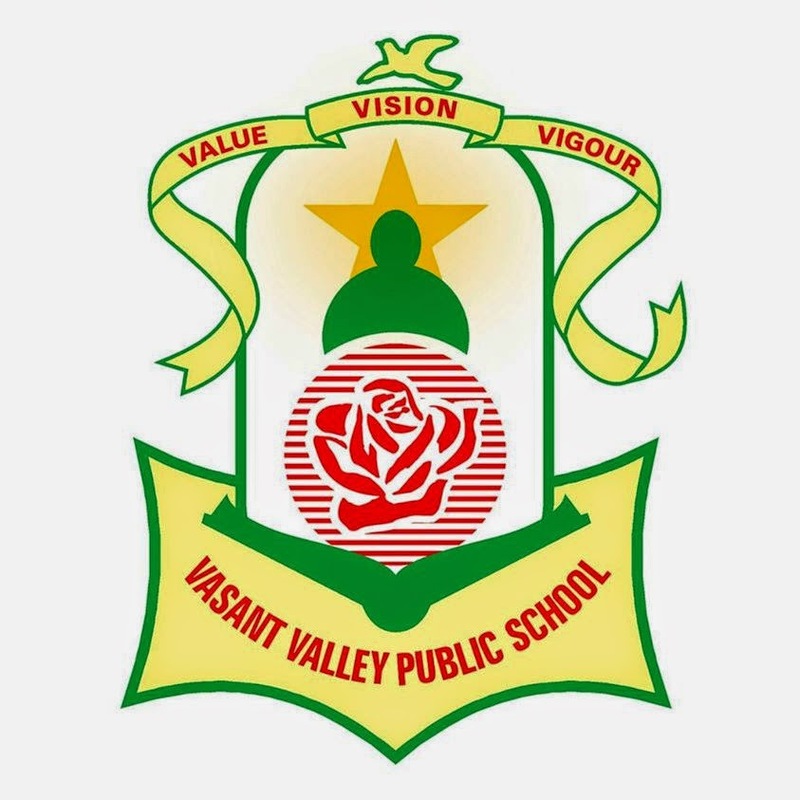 The school- V.V.P.S.-Ladda was rewarded by being awarded the Overall Trophy for the marvelous performances of these talented performers at Kala Kendra.